Characters for sale OR TRADE!!!! 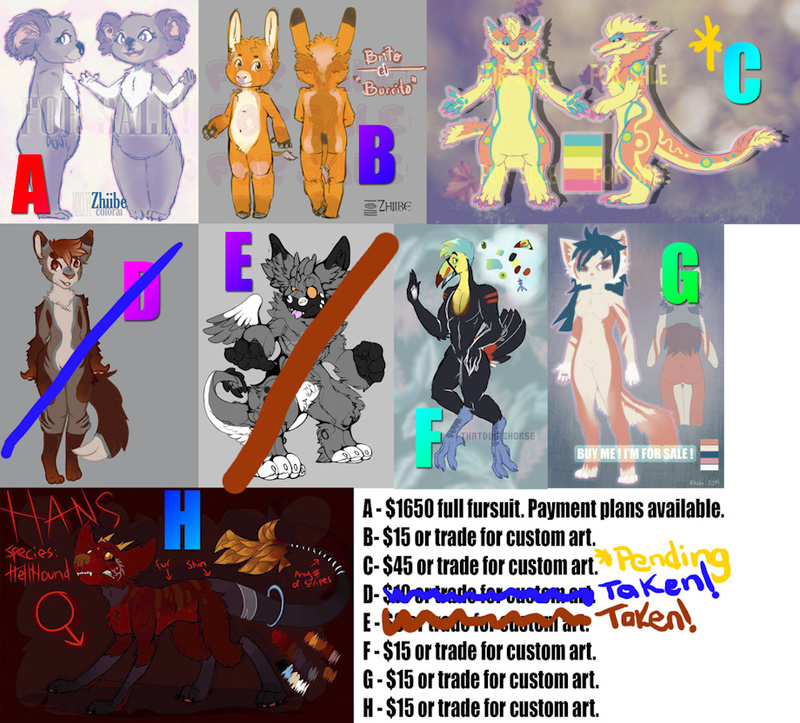 Trying to sell OR TRADE these characters for custom art. Show me what do you offer for them in case you want to trade!. Art by me: koala girl, donkey boy, sergal design and kitty girl. The other arts were created by their respective owners!.